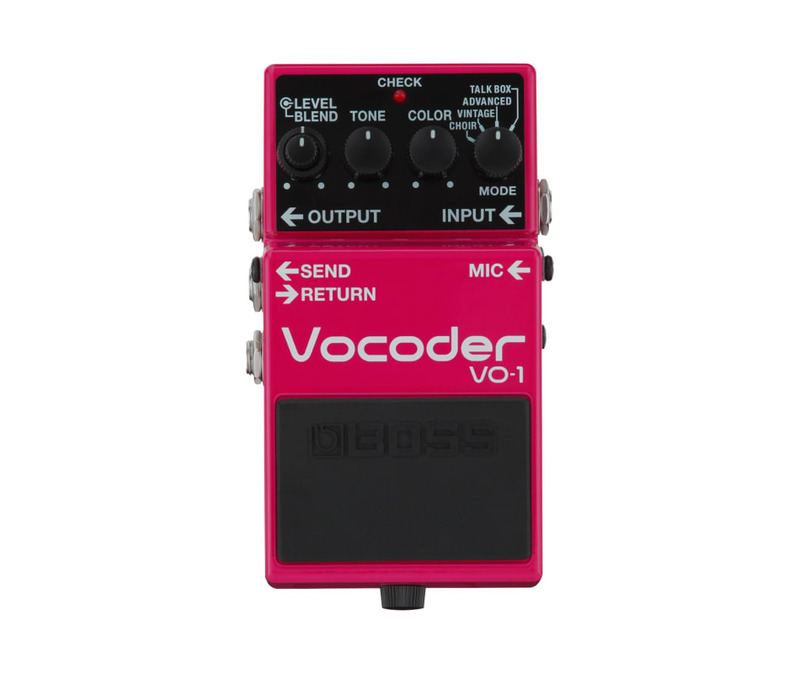 The VO-1 Vocoder is a unique and innovative stompbox that puts the massive expressive range of the human voice in the hands of every guitarist and bassist. By vocalizing into a connected mic as you play, its easy to transform your tone with electronic voices, classic talk box sounds, and tons of all-new colors that are perfect for modern music styles. Its even possible to create impressive ensemble vocal sounds without the need to connect an external mic. When you plug into the VO-1, you can literally talk, sing, and cry with your axe, taking your playing to places you never dreamed of before.